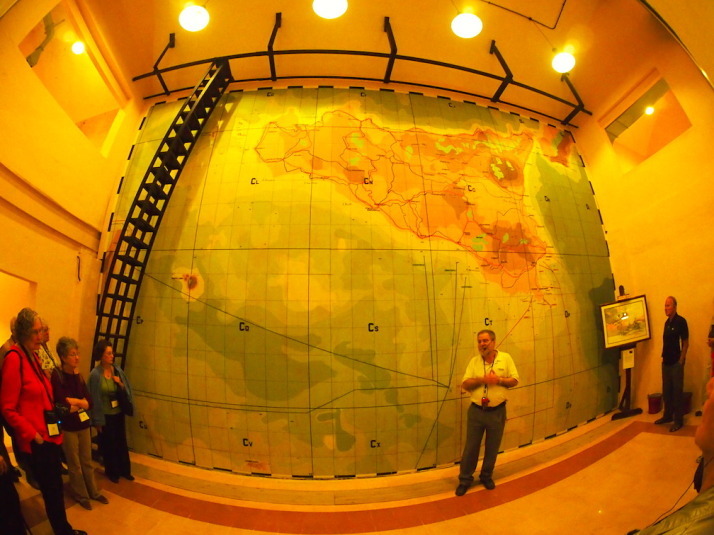 The Lascaris War Rooms were Malta’s best kept secret of the Allied forces World War II efforts. 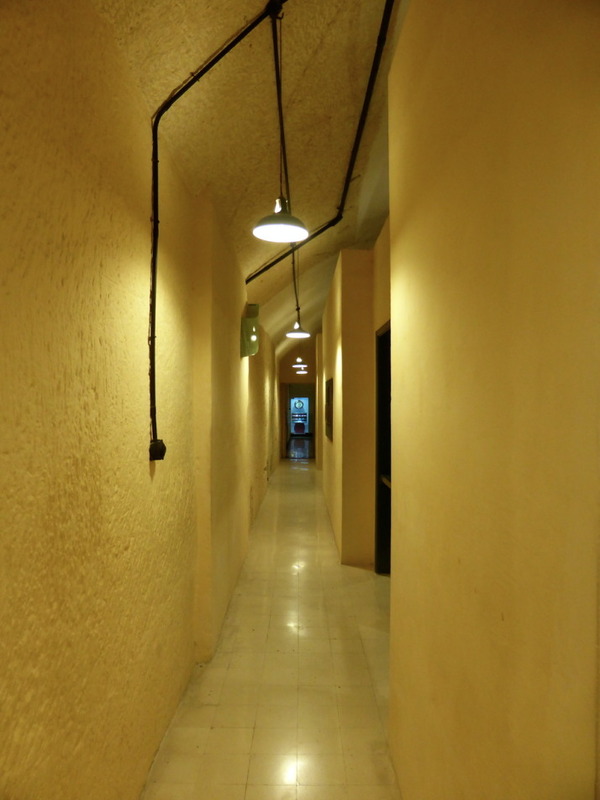 They’re a series of tunnels and chambers dug some 150m into the bedrock of Valletta – by hand and mostly at night – that were used as the Allied HQ for the invasion of Sicily on the 9th of July 1943, 11 months before the D-Day landings of Normandy on the 6th of June 1944. The name ‘Lascaris’ comes from Giovanni Paolo Lascaris, a descendant of the Greek Byzantine emperors of the same name – yes, the same Byzantine Empire that had Istanbul (nee Constantinople) as its capital – who was elected Grand Master of the Order St John (the same knights who built the Co-Cathedral). After a year in office Grand Master Lascaris ordered the construction of defensive towers along the coastline of Malta, one of which you’ve already seen as it’s the sunset picture at the end of our Dingli Cliffs walk. After the British took control of the Maltese Islands in 1800, they extended the fortifications built by the Knights, and in 1854 started the Lascaris Fort and Battery – a defensive platform for cannon which overlooks the southern harbour of Valletta, so named because they were built on the site of Lascaris’ former private garden. When Italy declared war on France and Great Britain on the 10th of June 1940, work started to enlarge the tunnel that ran from Fort Lascaris up to the main ditch in Valletta which was originally dug by the Knights, as the island needed bomb shelters. Soon rooms were carved out and as there was need for a central place to coordinate war efforts in the Mediterranean, the Allied HQ moved in. 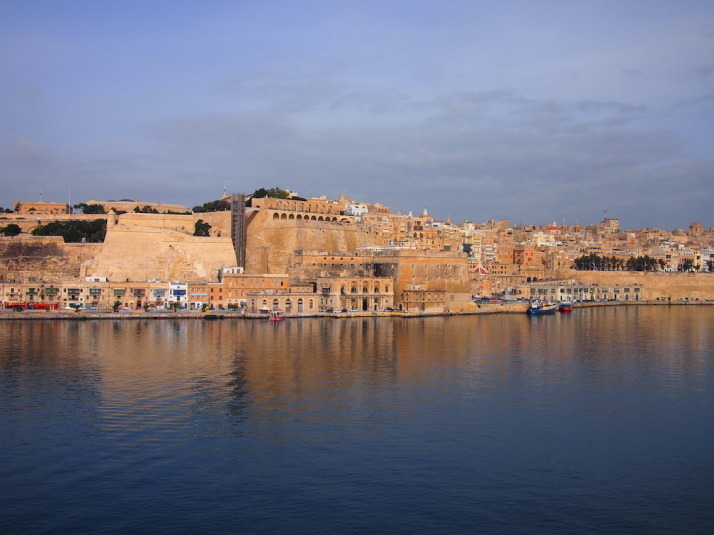 When I mentioned earlier that Malta has had a surprisingly long and eventful history for such a tiny landmass, this was what I was referring to – we had no idea of the pivotal role that Malta played in the events of World War II. The story of these tunnels and command rooms is absolutely fascinating, and expertly brought to life by the amazing restoration work and by the simply outstanding storytelling guide Tony – whose father helped dig them! We got to the museum early on a week day, and I’d recommend you do the same – especially as we visited in the middle of off-peak November. 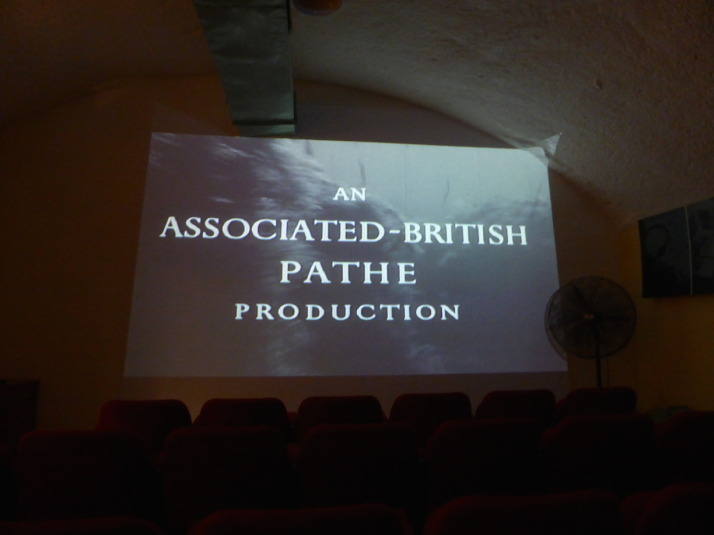 The tour begins with a short Pathé newsreel broadcast of a supply convoy’s journey from Britain to Malta which showed the logistical and life-threatening challenge of keeping strategically important Malta defended. There were only ever enough supplies to last 3 months, and if just two of these convoys didn’t make it in succession then the island would have had no choice but to surrender. After the video, the audioguide took us through the rooms and rather dryly explained what each room was used for and who was stationed there, but when we got to the first of the main rooms – command room for the offensive Operation Husky, Tony picked up the commentary and started filling in the history with anecdotes of the various commanders and their rivalries. 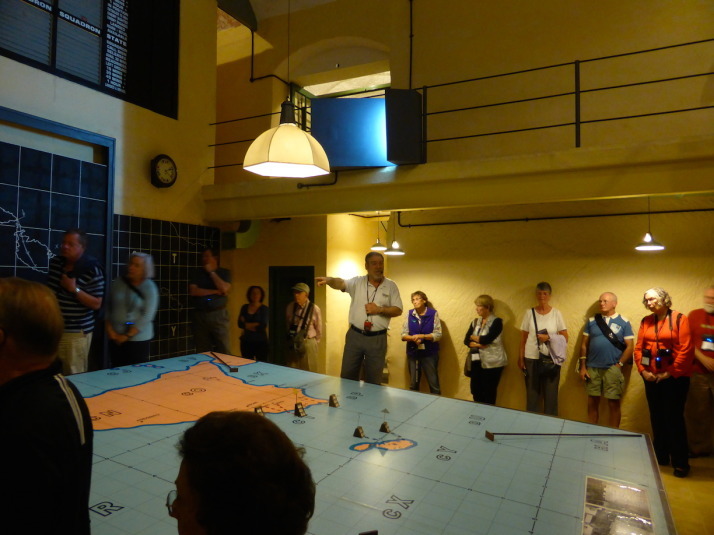 When a tour group arrived he apologised and left to meet them, so we continued through the narrow corridors and past the second major room, the defensive situation room where attacks on Malta were tracked and squadrons of aeroplanes were organised to defend the island. Pretty soon we heard Tony again as he was showing the group around the maze of tunnels so we decided we’d tag along! 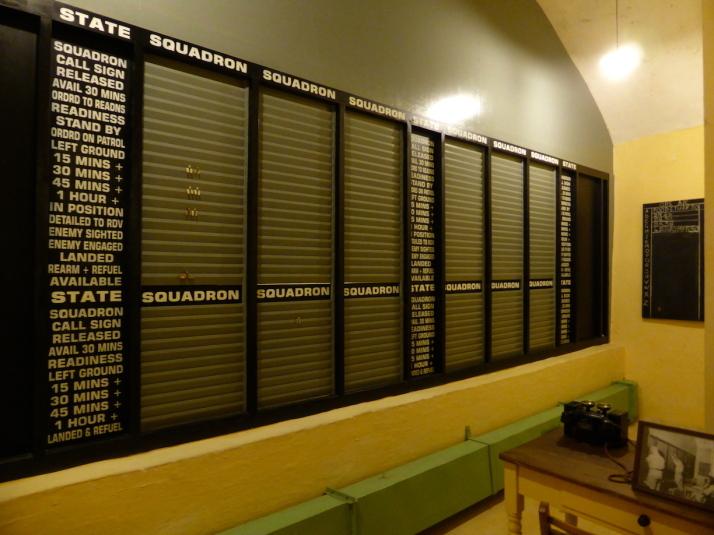 While the audioguide had told us what the squadron board was for in the island defence command room, Tony filled in the details of how the squadrons were rotated. Because radar was crude and aeroplanes were slow to climb by todays standards, it was too late to scramble them to intercept bombers so constant air cover was used. This decision, with the limitations of fighter aircraft having a maximum 90-odd minutes of flight time, meant they had to launch new squadrons every 15 minutes! It took each squadron 30 minutes to get up to altitude, and another 15 to get down which meant they could provide about 30 to 45 minutes of cover before they had to return to refuel. Imagine the effort of the ground crew preparing for 12 aircraft taking off and another landing every 15 minutes. Astounding. 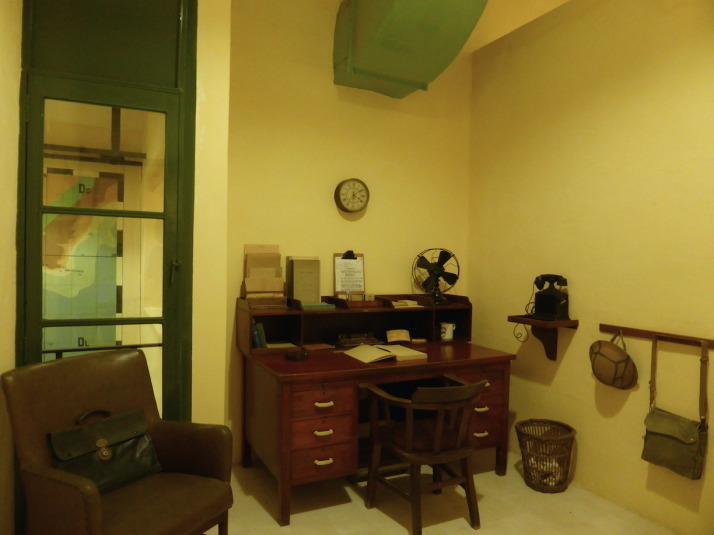 From there we returned to the heart of Operation Husky, the room where General Eisenhower and his Supreme Commanders Admiral Cunningham, Field Marshal Montgomery and Air Marshal Tedder planned their attack on Sicily. Tony told us how Eisenhower had great trouble getting the two large egos of the American and British commanders to work together and in the end decided to give them the same objective but start them from different beaches – a tactic that brought out their competitiveness and which Eisenhower used again in the D-Day landings – no British and American forces landed on the same beach in either operation. 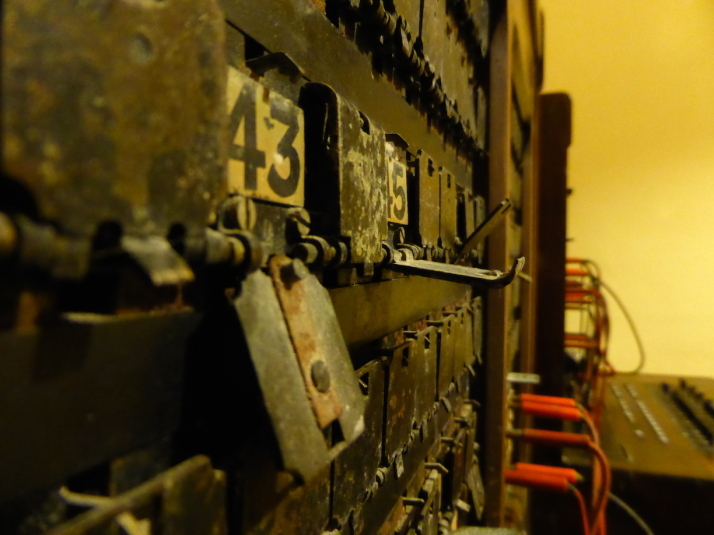 One of the telephone switchboards in a small communications room. Every time we see one of these manual switchboards I can’t help but remark that my Mum used to operate one like it when she started working – not one quite this old, mind you! Recognised as strategically important to the outcome of the war, the Axis forces ran more than 3,000 bombing raids in 2 years over Malta, making it the most intensively bombed area of the conflict. 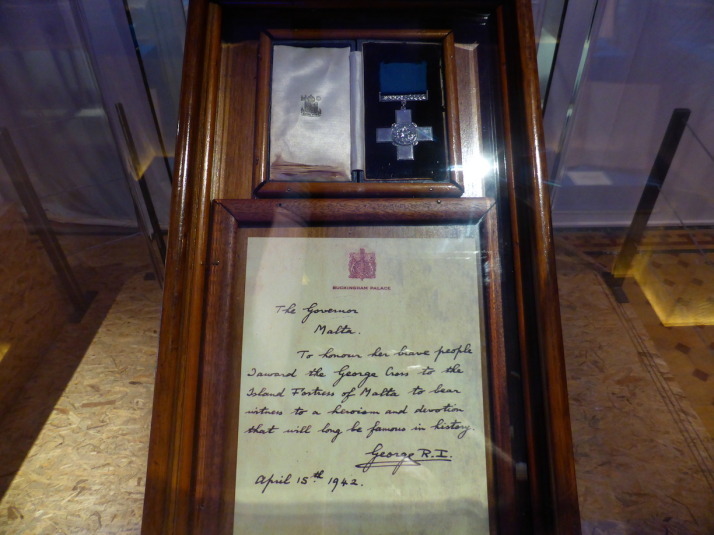 For maintaining control of Malta, King George VI awarded the nation the George Cross for Gallantry, the first time in history it was bestowed to a collective. 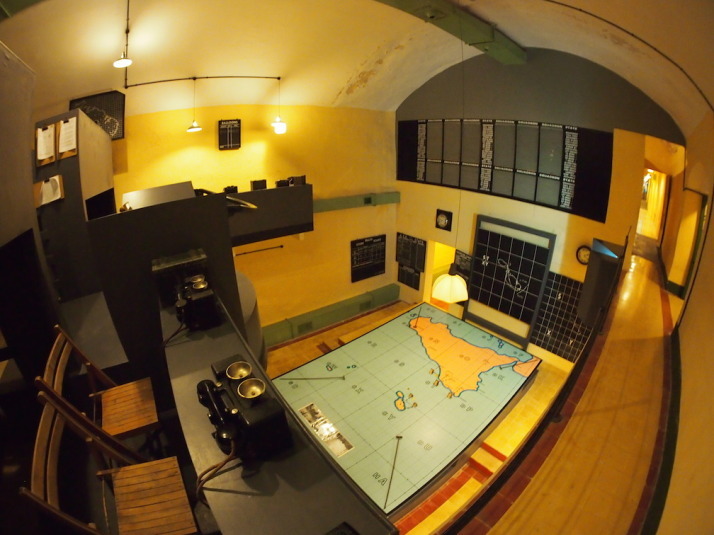 After World War II the Lascaris War Rooms continued to be used by the British as their Mediterranean Fleet HQ until 1967 when NATO took over to use them as a Communications Centre for the interception of Soviet submarine transmissions during the Cold War. NATO also added a lot more rooms on the other side of tunnel and they’re currently being restored to be opened to the public in 2015 as a Cold War Museum right opposite the WWII Lascaris War Rooms. It would be equally fascinating to return to Valletta to visit these more modern bunkers, especially as we’ve seen their Soviet equivalent in Latvia earlier in our trip! This entry was posted in Experiences, Places and tagged Malta, Museum, Valletta on December 1, 2014 by Andrew.